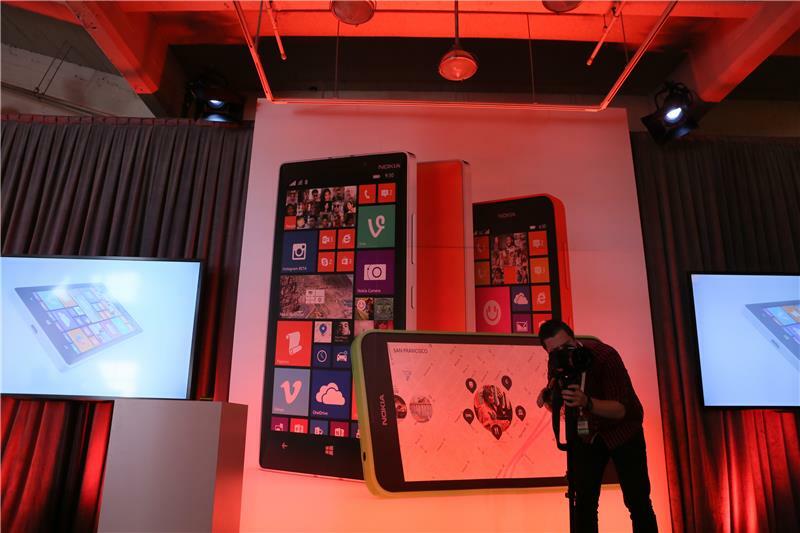 As the first day of Microsoft Build closes, Nokia will hold an event in San Francisco where it should reveal new Lumia phones and discuss Windows Phone 8.1. Hello, everyone! 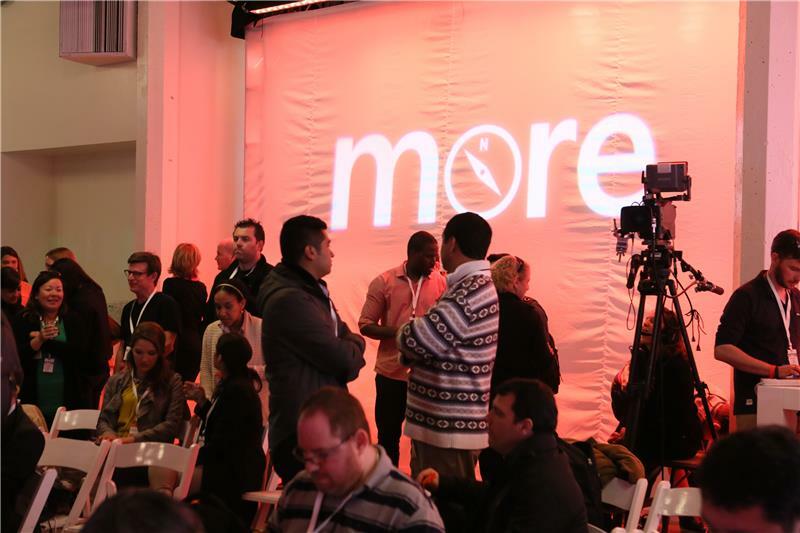 Welcome to CNET's live blog of Nokia's "More" event from San Francisco. Hey all, Roger Cheng, executive editor of CNET News, here with Tim Stevens. Photographer Josh Miller is here next to me shooting this event. So, we're not expecting much from this press conference. The news, after all, was all announced about six hours ago. Is it just me or do I look slightly drunk in that picture? I'm sober, I swear. We're in a little gallery in the SoMa district of San Francisco. It's not too far from the Microsoft Build conference -- unless you had to hoof it here in a rush. So I've been complaining about the weather in SF -- it's been rainy all week -- but it was actually nice today. Unfortunately, sunny weather and a heavy jacket are an uncomfortable combination. We're pretty sure we know what's coming this evening, but if any of you have some zany predictions or hopes for unveilings we'd love to hear 'em. I'm @Tim_Stevens on Twitter. Roger is @RogerWCheng. We're listening to a little Cee Lo Green remix at the moment, who is telling us how happy he is. Are you happy? We're pretty happy. 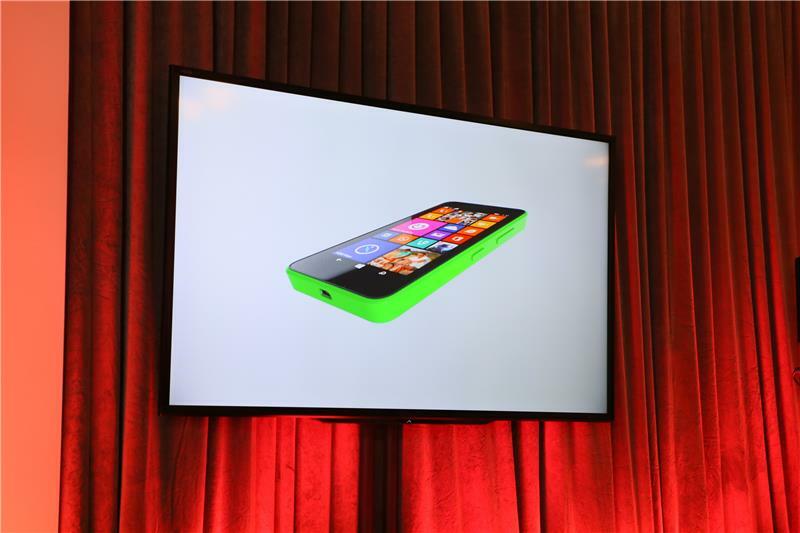 But just to recap, Nokia announced the Lumia 930 and Lumia 630 and 635 this morning at the Build keynote. So, I guess we'll recap those announcements here. Again, though, I'm totally not drunk. Nokia says "More" because Microsoft already announced three new Lumia phones, the 930, the 635, and the 630 this morning. You can find links to the First Takes above. I'm happy, but only because we're almost done with this day. I'm still having nightmares about that three-hour live blog. I was happy to make it through that keynote without needing a potty break, personally. 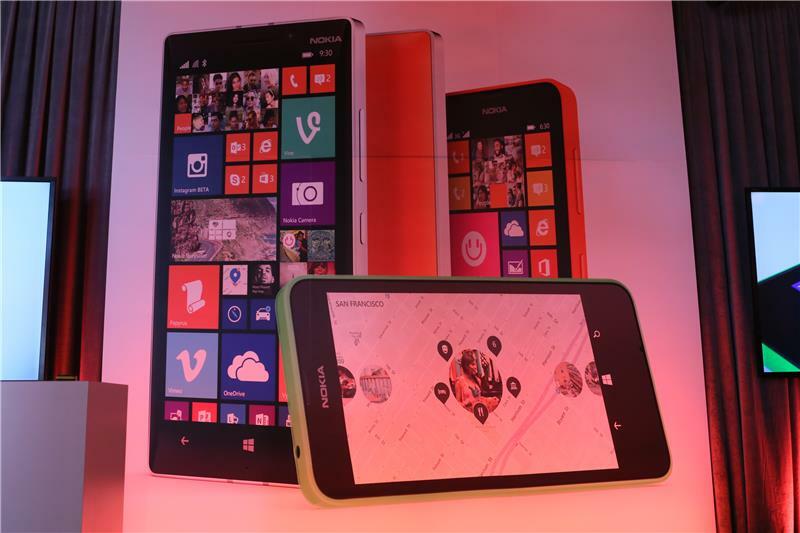 We're seeing lots of giant Lumias in lots of technicolor hues being flaunted here. Most of the Nokia personnel are definitely showing their rainbow love this evening. Looking great. @TimStevens: The key to that? Not eating breakfast. So anyone have a favorite among the new colors introduced? I'm partial to orange. 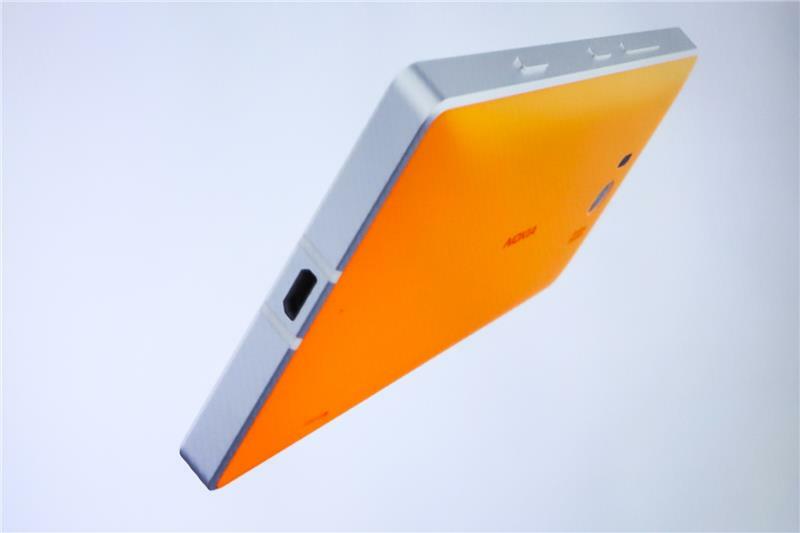 I wouldn't mind an orange phone. So flanking the stage are rows of couches with reserved signs on them. 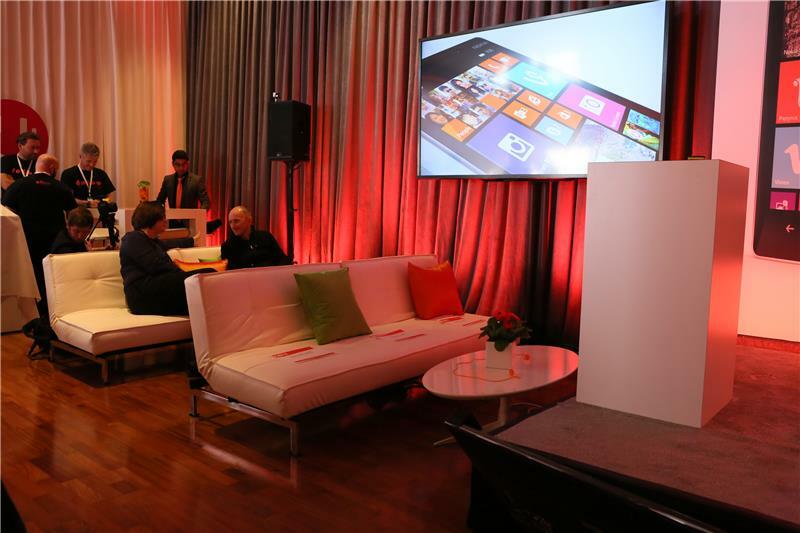 I guess for the Stephen Elop's entourage? Also, why show off the 930 anyway, in America, as a great device... but guess what, you can't have it... unless you have Verizon... then you can have something CLOSE! @SethCheever: Agreed, one of the more annoying things about Nokia is its insistence on striking carrier exclusivity agreements. That's not going to change. This morning Microsoft kicked things off with some pretty heavy beats. Things are much more chill at this Nokia event. Which is just fine. It's been a long day. 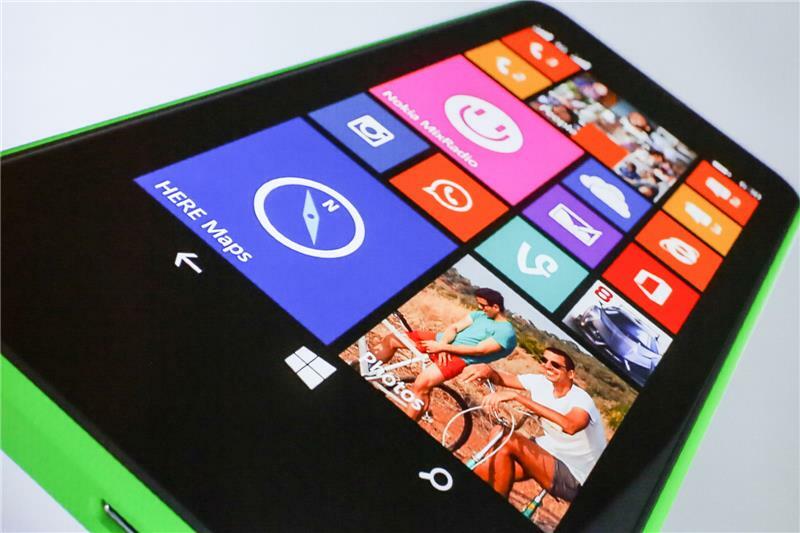 Nokia seems to think it's the right strategy. I would say it's debatable. So I see Nokia exec Chris Weber by the side of the stage chatting it up. I'm guess he gets a reserved seat. Thanks to @Xavdog for being the only one to send in a prediction so far: "I’m going to go to on a limb and say they’ll do something with Windows Phone. :P" -- And what a daring prediction it is! This is a far, far more intimate setting than this morning's Build conference. Like 1/100 smaller. I'm about five feet from the stage (I'm in the front row). Now they're rolling in. 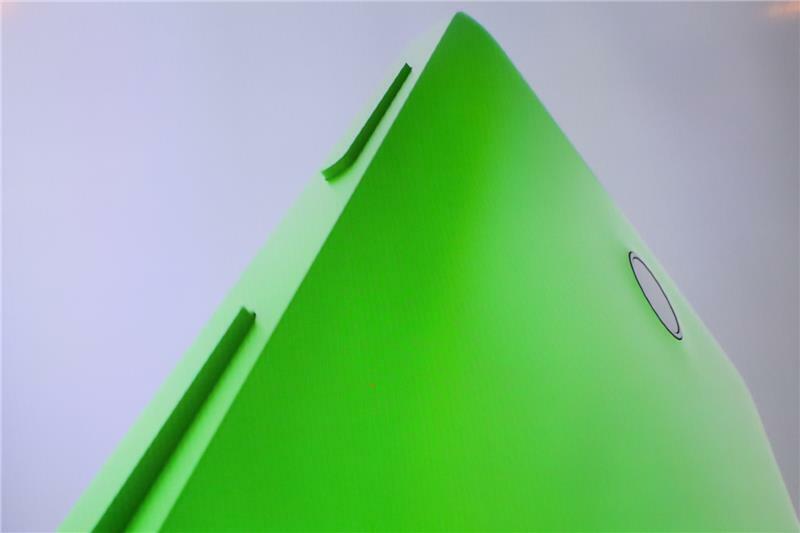 @Generalguy41 says "Nokia TV" -- Sorry to say any plans there probably shelved so as not to compete with the Xbox regime. But man, think of how many great colors they would have come in.